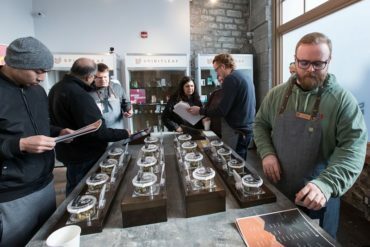 Customers lined up at Ontario’s first brick-and-mortar cannabis stores on Monday, but fewer than half of the province’s government-licensed outlets were ready to open. Premier Doug Ford defended his government’s decision to hold a lottery to determine who could apply for store licences, saying more shops would be opening soon. The Alcohol and Gaming Commission, which is overseeing Ontario’s vetting process, said 10 stores were given the green light to open Monday – three in Ottawa, two in Kingston and one each in Toronto, Brampton, Burlington, London, and St. Catharines. Hunny Gawri, owner of the sprawling store, said he got barely an hour’s sleep as employees rushed to get ready for the opening. In the nation’s capital a long line formed outside Fire & Flower, located in Ottawa’s tourist hub, the Byward Market. “Everyone is coming in the door with a big smile and is leaving with an even bigger smile,” he said. Bondar said Spiritleaf was “thrilled” to work on the store but hoped the next wave of retail licensing was handled differently. Lawyer Caryma Sa’d, who specialized in cannabis cases, said there was much “disappointment” over the launch of cannabis shops in Ontario. The way that it rolled out with a lottery that seemed completely arbitrary, no real merit component, it’s not surprising that only a handful of stores in an already artificially low number of licenses, were able to open,” she said. Stores face escalating penalties for delays – failing to open a store Monday results in a $12,500 draw down on a letter of credit, while not opening by the end of April means applicants risk losing their entire $50,000 letter of credit. “This lack of access we have today is squarely at the feet of Mr. Ford and his government,” she said. – with files from Teresa Wright in Ottawa.